More magnets?! During one trip through a cake decorating shop, instead of getting these plastic decorations for a cake I put magnets on the back. I put a tie tack on one of the beer mugs and when I wear it to Oktoberfest it never fails to be a fun conversation starter! 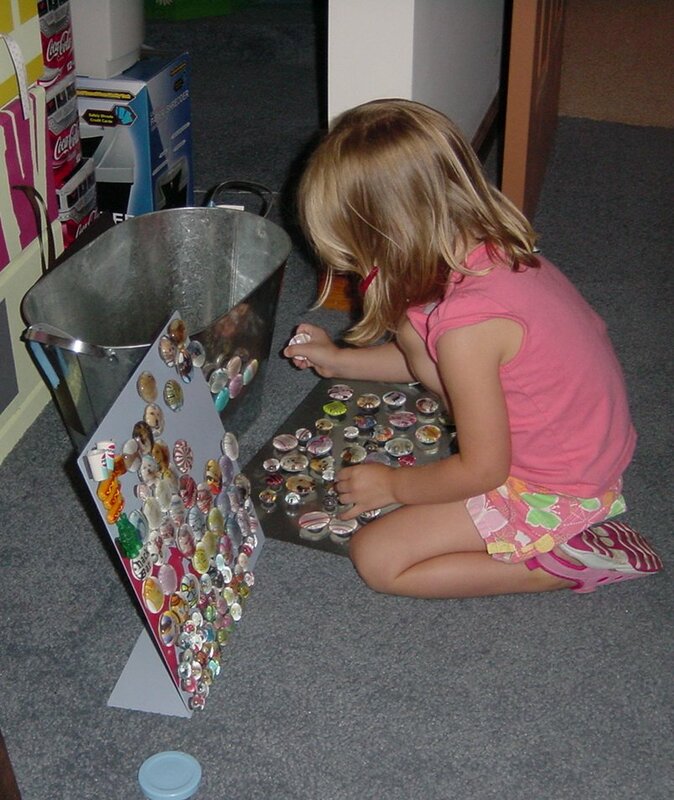 When my niece was not busy organizing my marble magnets and by that I mean taking them all off the memo boards and dumping them in the bucket, she liked to put the Pepsi cups on her fingers and dance around. Whatever keeps her happy! What a great idea for the magnets. I love all the decorations the cake decorating shops have. What a cute and fun story about your niece..love that organizing = dumping into a bucket. Wow, this is so cool! Last year for her b-day I had my crafty neice over for the weekend and we made those half-marble magnets. I’ve been trying to think what to do this year. I’ll have to see if I can find a cake decorating store.